Discover how the hidden messages in your dreams can change your life. A renowned expert on the subject of dreams, Jeremy Taylor has studied dreams and has worked with thousands of people both individually and in dream groups for more than forty years. His discoveries show us how dreams can be the... read more keys to gaining insight into our past and our conflicts, as well as excursions into the fantastic realm of creative inspiration. 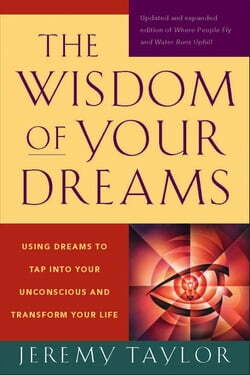 An expanded and updated edition of his classic guide to understanding your dreams["Where People Fly and Water Runs Uphill[The Wisdom of Your Dreams" provides readers with specific, hands-on techniques to help them remember and interpret their dreams, establish a dream group, and learn the universal symbolism of dreaming. Full of case histories and featuring a revised introduction by the author and a new chapter about dreams as clues to the evolution of consciousness, this is a life-changing and potentially world-changing work.